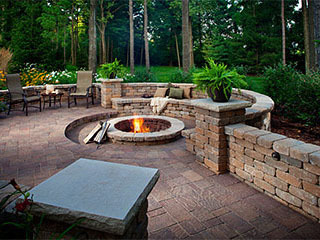 There is something very alluring about outdoor living and we at Legacy Pavers are the proven experts in this field. We have proved our skill with designing and installing the best outdoor spaces and have created the most stunning effects of properties across Wekiva Springs, Forest City and Lockhart with outdoor kitchens, patios, poolscapes, decks etc. A well-balanced landscape is always a combination of a number of elements such as softsacaping, hardscaping, water features, stone accents, decorative pieces and fire pits and fireplaces. The latter two are the fire element and create spaces that turn into veritable comfort zones on your property. 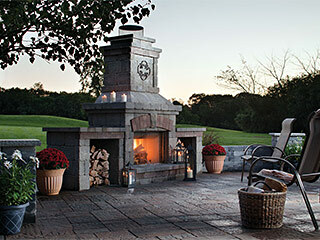 The minute you install a fireplace or a fire pit anywhere in the outdoor spaces of your home, it encourages you and your family to use these areas more. In effect, it increases your ROI and adds to the value of the property. But design and installation of fireplaces and fire pits is a specialized task and not something that a novice should be handling. We have a lot of experience with creating the most arresting fireplace and fire pit installations in and around Apopka, FL. In addition to installing the actual features, we also have the expertise and resources to design and install retaining walls with built-in seats and can pave these areas.